Lionel Messi was everything Barça fans have come to expect in Tuesday’s 4-0 rout over PSV Eindhoven in the first match of Champions League group B. The newly minted Barça captain scored a hat-trick as if it were a walk in the park, and has now chalked up at least one Champions League goal in 14 consecutive seasons, which ties the all-time record, previously the sole property of former Real Madrid striker Raul González. 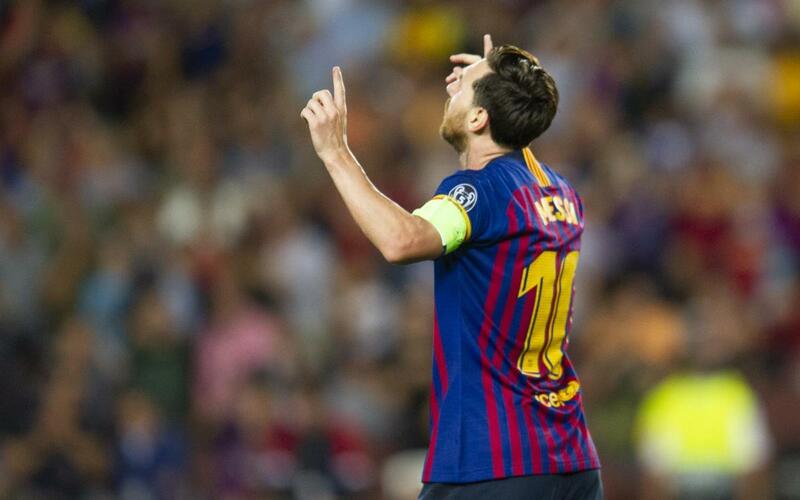 In addition, Messi’s Champions League hat-trick tally is now eight, a new record, having surpassed Cristiano Ronaldo's seven. And record number three for Messi: he now has 63 group stage goals in 64 career appearances. Messi also scored his first career goal against PSV — he had never faced the Dutch outfit before — making them the 30th different side he has scored against in European competition. If you’ll recall, Chelsea became Messi’s 29th victim last season after he scored on them following several unlucky clashes with the London-based giants. And Messi has room for more too, given that he’s never scored against Inter Milan or Tottenham, the other two teams Barça will face twice each in the group stage this season.